For Father's day 2018, I decided do a Space Day. What Space day was, was a day to rent a Tesla Model S, visit the SpaceX headquarters and tour the NASA JPL campus during their open house. It was a fun day that I'll never forget. 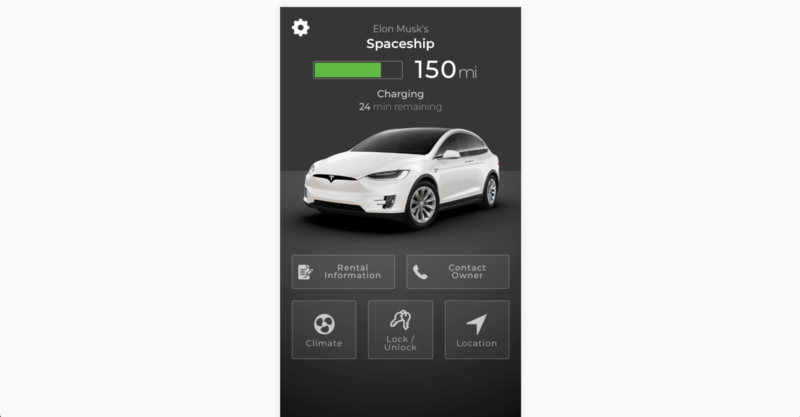 However, during my time driving around in the Tesla Model S, I wished there was some sort of app that I, a renter, could download to help me keep track of the battery power in the car, open doors or even contact the owner of the car.